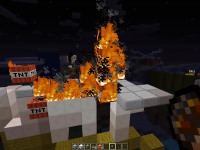 What did i expect: Exploding TNT when right-clicking with a fire-charge. I attached some screenshots. 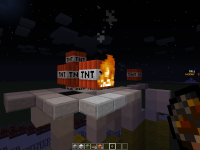 2 of them shows TNT being set of fire with a fire charge, the other screenshot is TNT being set on fire, then ingnited with flint and steel. 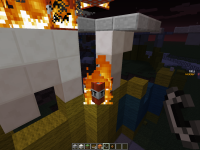 MC-8987 Flame-enchanted bows don't activate TNT minecarts!